In the past we worked with and for many companies such as Red Bull, adidas or Felt Bikes. 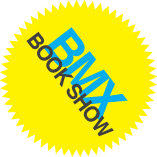 Our show team already performed BMX shows all over the world (Dubai, Abu Dhabi, Lebanon, Austria, Germany and many more). We worked for tv shows as well as for trade fairs and city communities. Nothing is impossible! BMX Show Ditzingen | FAC -It's BMX | Ditzingen Stadtfest 2011 from FAC - It's BMX on Vimeo. TV BMX Show Lebanon 2009-Guestemania 2 from FAC - It's BMX on Vimeo. BMX Show Tattoo Convention | FAC -It's BMX | Dortmund 2011 from FAC - It's BMX on Vimeo. Battle in da Club tour 07, Station 2 from FAC - It's BMX on Vimeo.